Friendly staff and a solid beer selection. Will be back. Jeffrey was very helpful and pleasant. He made suggestions and explained some things to me. Great! Glad to have had a chance to find the Wine Shop. We'll be back. The customer service rep was very helpful and helped guide me around the store and to what I was looking for. Friendly staff and nice selection of items. They had a wine tasting going on which was a nice way to experience something new. Prices were a little higher than other shops nearby but the experience will make me return. 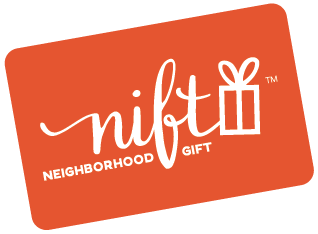 Glad nift helped introduce me to this great local shop. Staff was friendly and helpful. Great selection of wine, beer, and cider. Lots of stuff we haven't found other places. Loved this wine shop! They've got a great variety of unique wines, ciders, and brews. We happened to come in when they were doing one of their wine tastings and got to enjoy a nitro-wine! Looking forward to our next visit :). Place is brand new, great selection of wines and free tastings 3 times a week. Great wines, beer and staff! Highly recommended!